Money factors directly translate to interest rates. A money factor is a way of expressing the interest charged during the course of a lease. You'll frequently see it used in car leases, but it's often more useful to think in terms of a traditional interest rate. 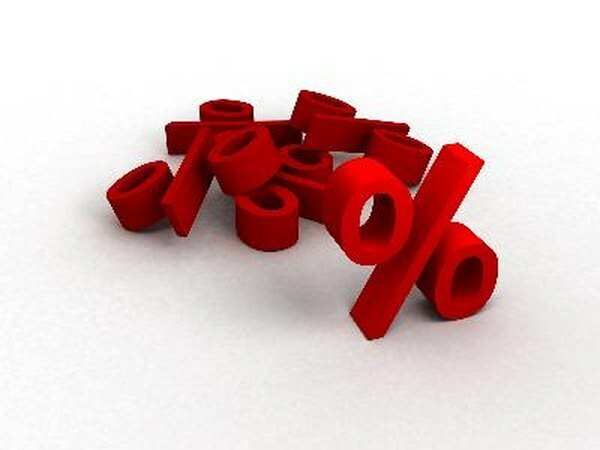 You can convert a money factor to a standard percentage interest rate just by multiplying by 2,400. This simplifies the math of the money factor itself, which is a complicated calculation that essentially divides the annual interest rate into a monthly percentage and then further divides that figure by two. Use the tip to help explain how 2400 is derived. When you lease something, such as a vehicle, that loses value, or depreciates, as you own it, your total lease payments need to at least cover that depreciation. Otherwise, the person issuing you the lease would lose money. Consider leasing a new $20,000 car for three years, and assume that at the end of the lease, the now-used car will be worth $10,000. When you return the car, if you haven't paid at least $10,000 in total lease payments, the leasing company will have effectively lost money on the deal. Of course, you'll be unlikely to find anyone who will give you a lease at break-even rates. Just as when you take out a loan the bank expects to make money from interest, when you lease a car or anything else, the company issuing the lease wants to make a profit from your payments. When you take out a loan to buy a car or a house or you put a purchase on a credit card and don't pay it off immediately, you'll almost always have to pay some interest. That interest is how the lender makes money, and it's usually expressed in terms of an annual percentage rate, which includes both monthly interest payments and any upfront fees for the loan. If you're deciding between two loan options, you can usually compare the APR numbers to see who's giving you a better deal. But if you're deciding whether to borrow money or take out a lease, you often won't get APR numbers for the lease, so it can be harder to decide which transaction is better for you. One number that you can often get for vehicle or other leases is called the money factor. It represents the effective interest you'll pay over the course of the lease. Unlike an APR, it's not a percentage, but you can convert it to something comparable by multiplying by 2,400. For example, if the money factor on a lease is 0.002, you would multiply it by 2,400 to get an equivalent APR of 4.8 percent. Once you do this, you'll be able to compare it directly with APR numbers. The converted money factor and APR for a lease or loan for the same vehicle or other asset should be roughly the same. Both will generally be higher if overall interest rates are higher when you sign a contract or if you have a lower credit rating. If the interest rate you derive from the money factor is much higher than the loan APR to buy the same car, it might be worth either considering buying the car outright instead of leasing it, negotiating with the dealership or shopping around for a better lease deal. How Much Money Do You Save Buying Out Your Own Car Lease?